Good morning!! 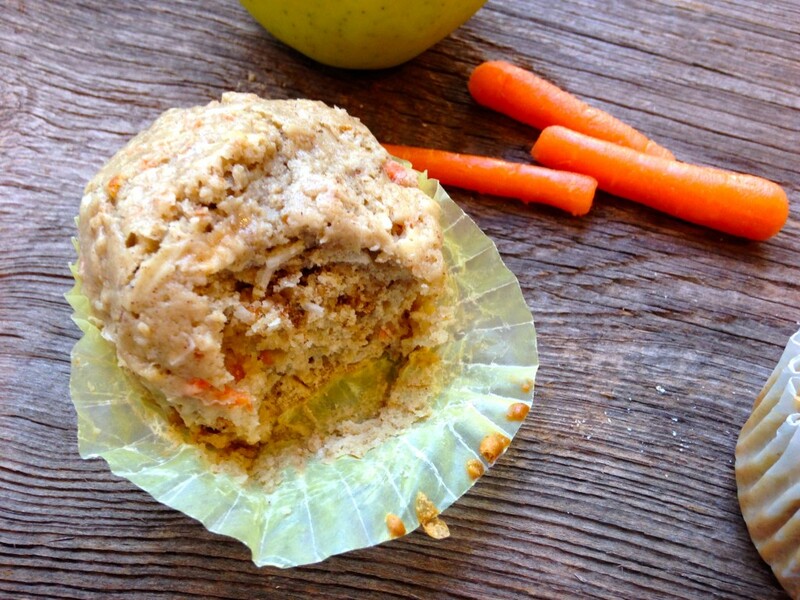 If you’re looking for a healthy muffin with EVERYTHING in it, you’ve met your match. My sister found this recipe via Cookie Monster Cooking for these hearty whole grain morning glory muffins and we all just fell in love with them. Brittany lives a lifestyle of eating wholesome ingredients and zero processed foods, and these passed her test! 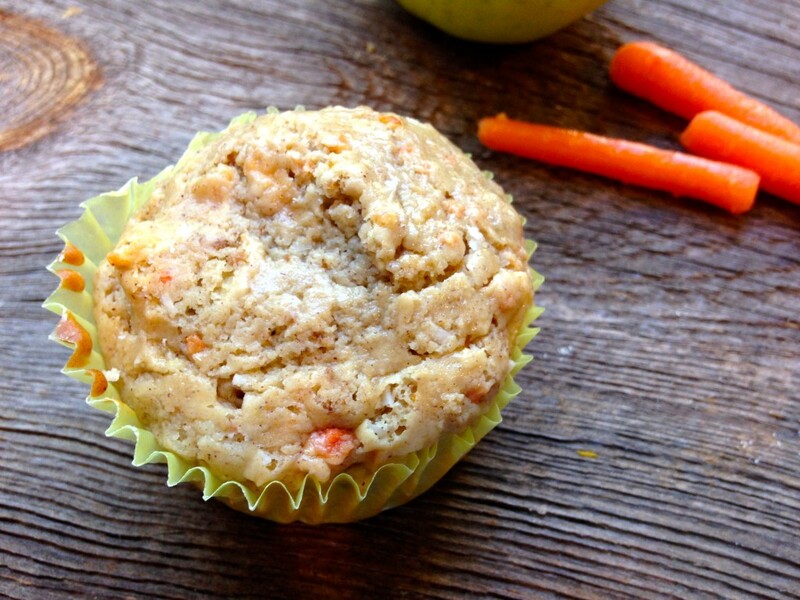 Honestly I can say that these are the best tasting “healthy” muffin I’ve ever eaten. 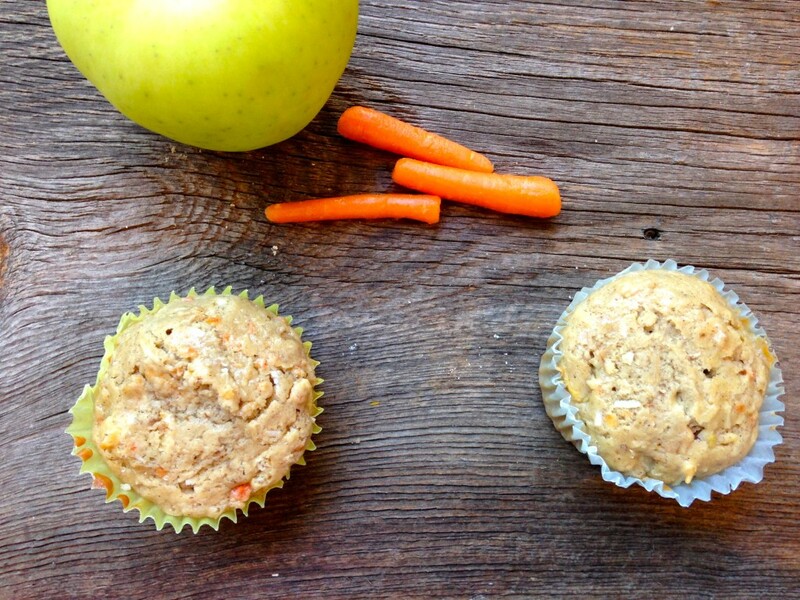 Loaded with shredded carrots, grated apple, coconut oil, pure maple syrup and honey for sweetness, cinnamon, ginger and nutmeg for flavor, unsweetened coconut, walnuts, and raisins; these muffins aren’t lacking in the ingredient list. While they are a bit time intensive to shred the carrots, grate the apple, and measure out the long list of ingredients, they are well worth it. Feel free to double the recipe and freeze some for later; they still taste delicious. Preheat oven to 375 degrees F. Line a muffin pan with liners. Set aside. Whisk together the white whole wheat flour, oat bran, all-purpose flour, baking powder, salt, cinnamon, ginger, and nutmeg in a medium bowl. In another medium bowl, whisk together the egg, coconut oil, milk, honey, maple syrup, vanilla extract, and orange zest. Add to the bowl with the dry ingredients and mix until just combined. Gently fold in the carrot, apple, raisins, coconut, and walnuts. 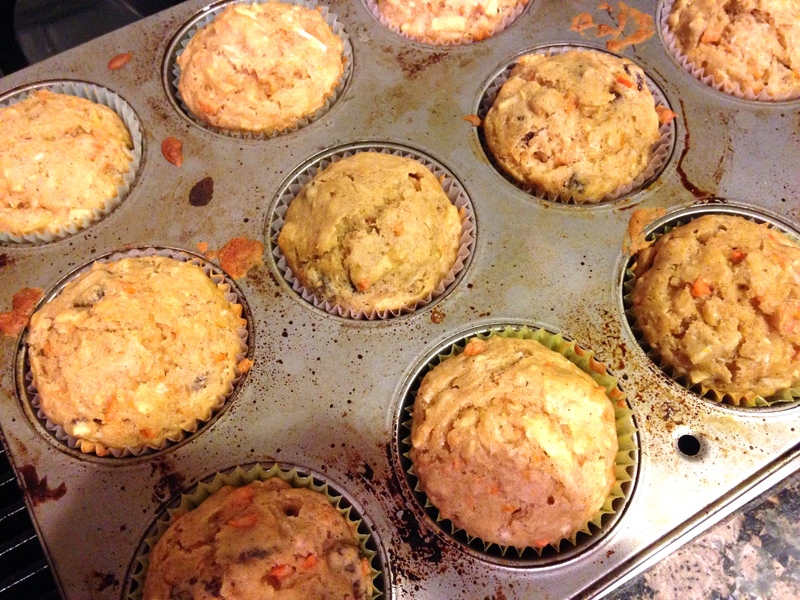 Divide the batter evenly in the prepared muffin tins, filling each about ⅔ to ¾ of the way full. Sprinkle the tops with additional chopped walnut, if desired. Bake for about 15-17 minutes, or until toothpick inserted into middle comes out clean. Let cool for about 5 minutes, then remove the muffins to a wire rack to cool completely.